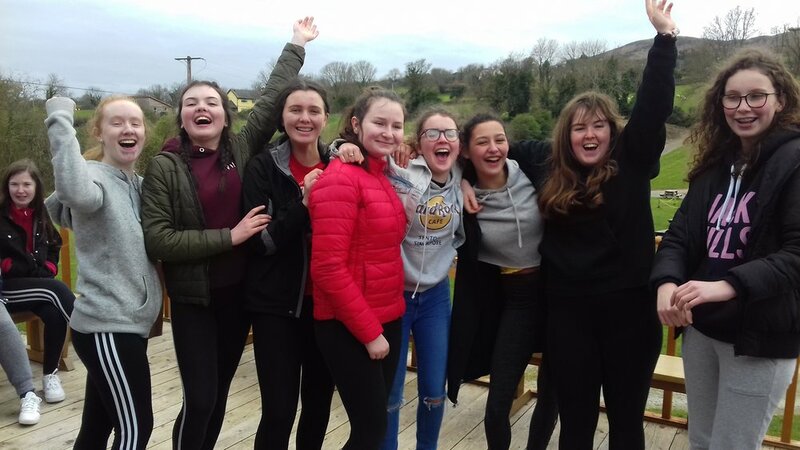 On Saturday 30th March, 24 Year 11 and 12 students set out on their annual trip to Carlingford Outdoor Adventure Centre. 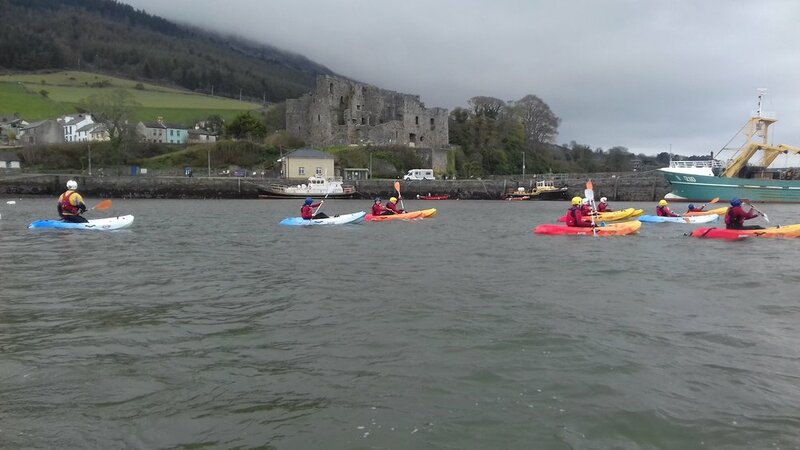 In the morning the group took part in kayaking in Carlingford Lough and most were able to make the journey across the harbour and back again, stopping half way to play team games on one of the small beaches. 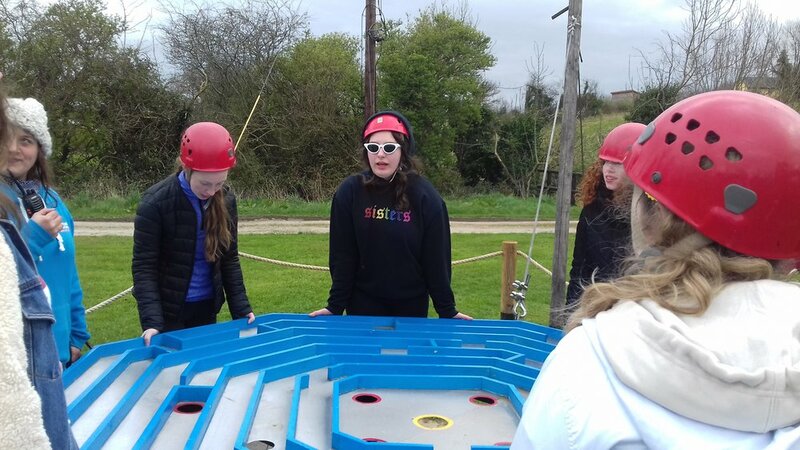 Team games included wading into the lough to where the instructor was, dive under the water and turn round (like you’re in a giant washing machine) and then wade back to the next tem member who couldn’t go until the last team member hit their hand. 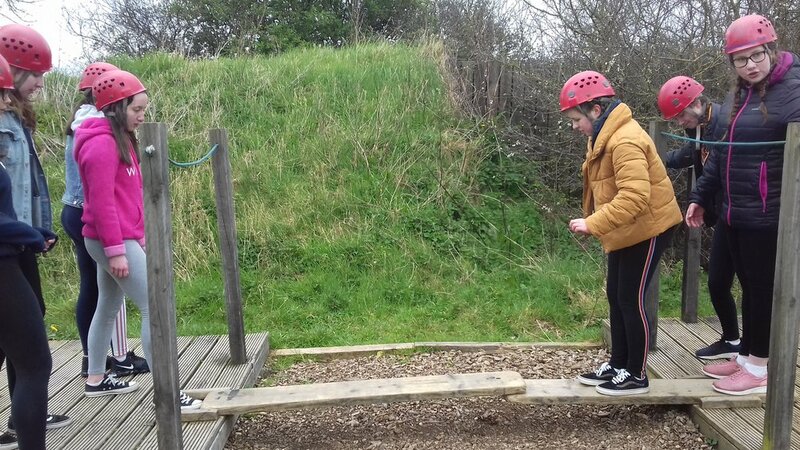 Then in the afternoon they took part on the crystal maze, where three groups competed to win ‘precious’ plastic crystals in exchange for winning various team challenged. They rounded up the day with ice-cream and sweets from the quaint little shops of Carlingford!